In Art History, there are a number of famous familial, platonic and amorous pairs: who’s your favorite? 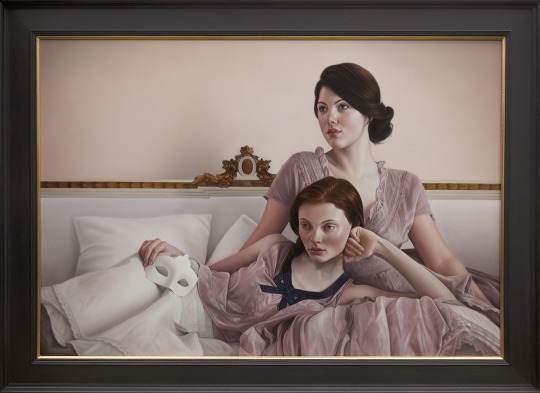 Mary Jane Ansell, Hope and the Reckoning, Oil on aluminum, Arcadia Contemporary. Click to inquire. Two heads are better than one. It takes two to make a thing go right. Just ask Rob Base and DJ EZ Rock. 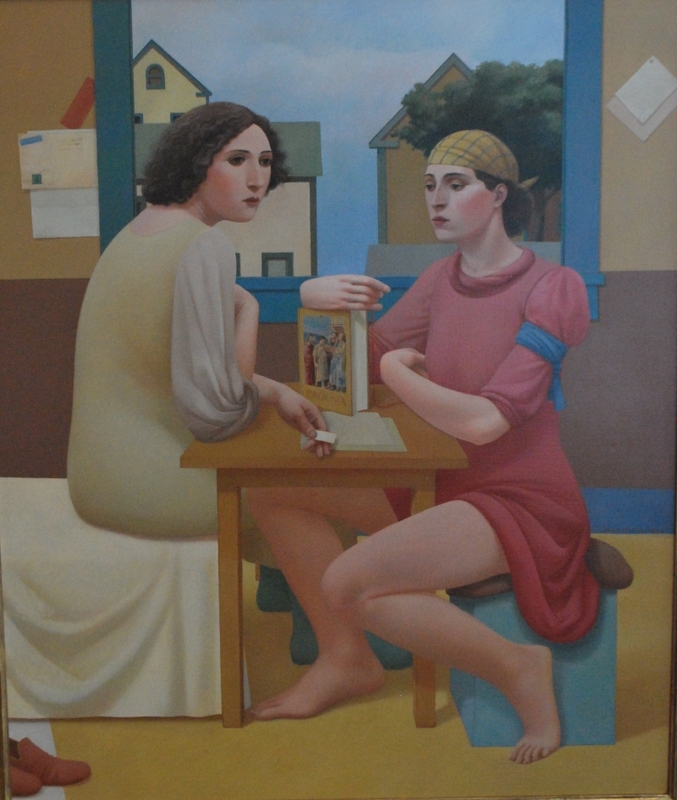 The same can be said in the realm of Art History: whilst we rarely here about two artists working together to collaborate on one painting, it is often the collaborative effort of artists, such as Picasso and Braque, to develop the visual foundations of artistic movements and their ideologies, as potently explored through Cubism. It was even said that one could not identify the hand of either Braque or Picasso in their gray-toned, fragmented compositions, as they developed their style side-by-side in the studio. 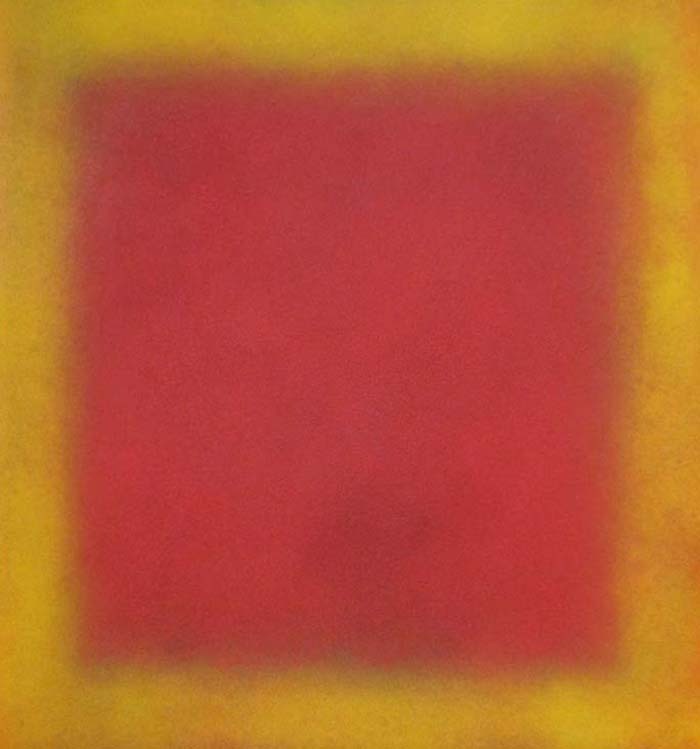 Natvar Bhavsar, SWAHAA II, Acrylic on canvas, Contessa Gallery. Click to inquire. 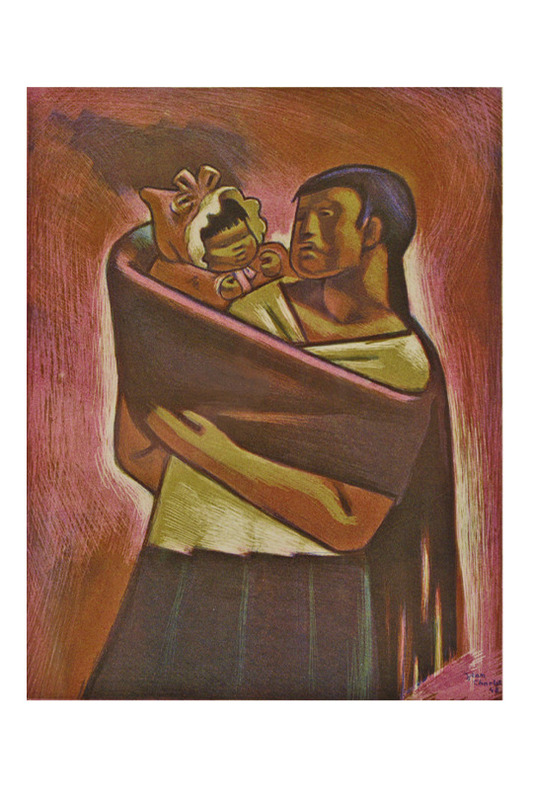 Jean Charlot, Mexican Mother, Lithograph, David Cook Fine Art. Click to inquire. In this collaborative effort of ideas, divorcing the individual, “genius” artist promotes the obvious notion that artistic ideologies and “movements” are often the synthesis of multiple artist’s styles and visual conceptions. 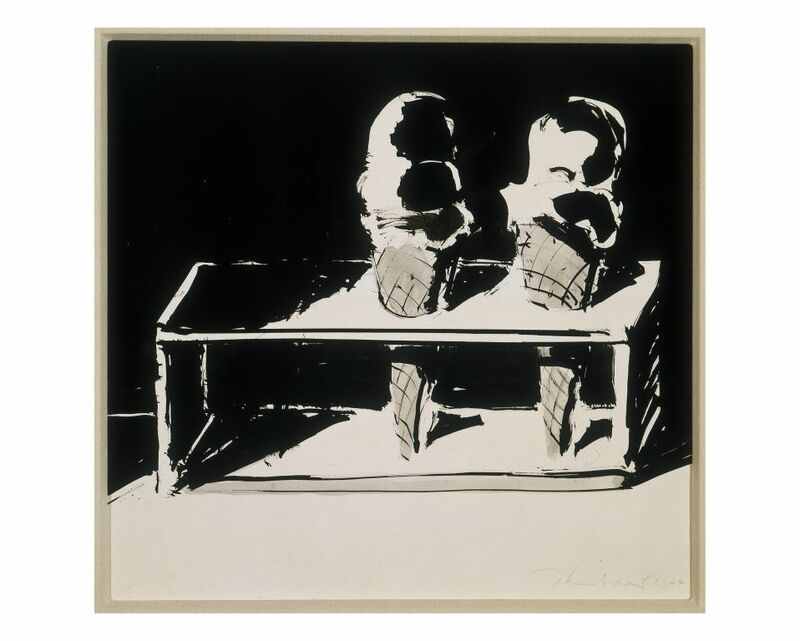 While artist’s relationships with one another transpire behind the scenes, the visual representation of “pairs” in artworks add an extra layer for their audience: at once we must analyze the individual, but we must also try to understand the relationship between the depicted pair. 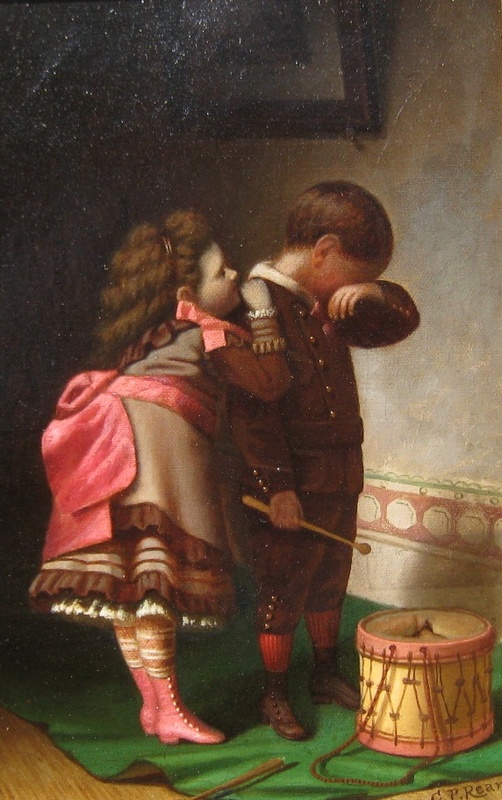 Carducius P. Ream, Consolation, Oil on canvas, Eckert & Ross Fine Art. Click to inquire. Alan Feltus, Padova, Oil and alkyd on canvas over panel, Eckert Fine Art Gallery. Click to inquire. How can we sift for the dynamism between the depicted couple: does one hold more power, are they equal? The same questions can be applied to Bhavsar’s SWAHAA II, a juxtaposition of two colors with a detectable vibratory relationship, or in Thiebaud's Ice Cream Cones: just as in life and art, a companion always makes things a little better (and sweeter). Wayne Thiebaud, Ice Cream Cones, Ink and wash on paper, Tasende Gallery. Click to inquire. 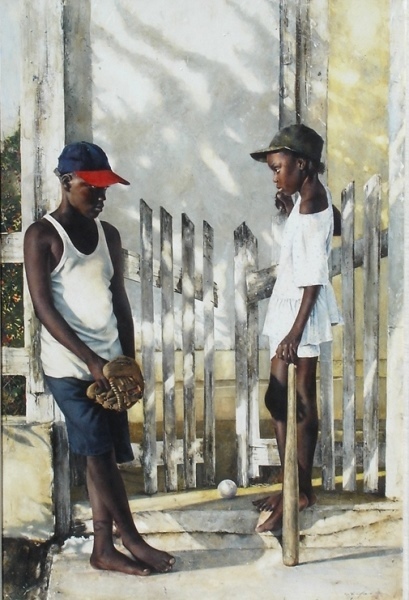 Stephen Scott Young, Charmed, 1998, Watercolor, Surovek Gallery. Click to inquire. 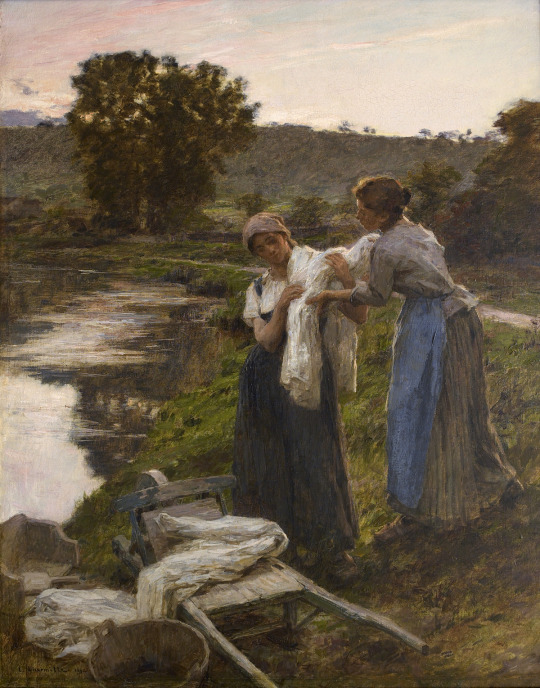 Léon-Augustin Lhermitte, Départ des laveuses, le soir, Oil on canvas, Schiller & Bodo European Paintings. Click to inquire. In Art History, there are a number of famous familial, platonic and amorous pairs: who’s your favorite pair in art history? 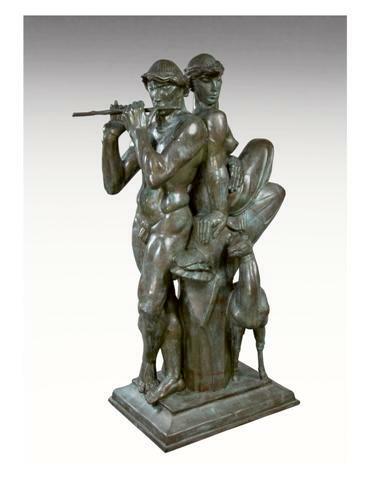 Albert Wein, Arcadian Idyll, Bronze, Levis Fine Art. Click to inquire. 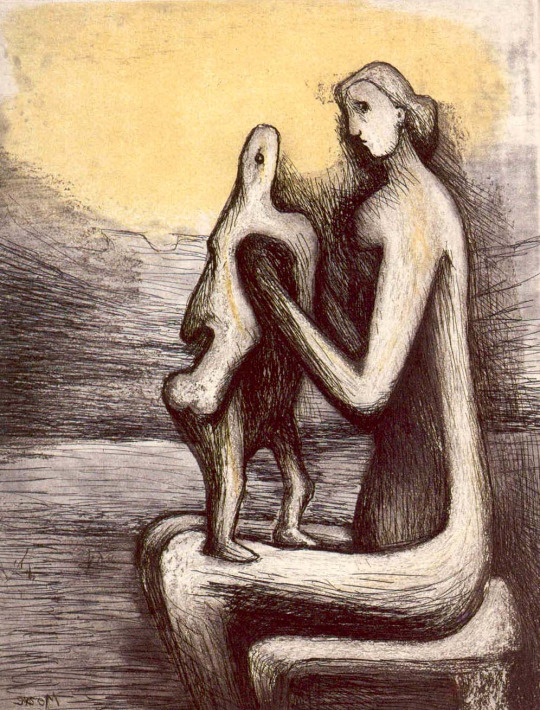 Henry Moore, Mother and Child IV, 1983, Etching, Leslie Sacks Gallery. Click to inquire.